Many people dream about flying round-the-world in business class. It’s one of those ‘bucket list’ type of experiences, and if you’re one of the 11 million Australians who earns Qantas Points, it’s probably more attainable than you think. For the oneworld award you need 140,000 points in economy, 280,000 points in business class and 420,000 points in first class. Business class is the sweet spot because first class itineraries are very hard to book (due to a lack of flight options) while economy doesn’t represent a high value use of points. 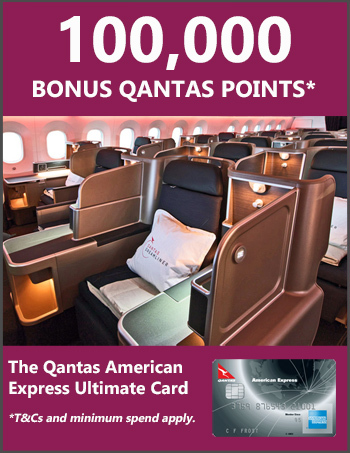 You may think that 280,000 Qantas Points is a daunting amount to earn, but given the huge credit card sign-up bonuses we’ve been seeing recently, and the many everyday opportunities to earn points, it’s a realistic medium-term goal. Since you can spend almost 280,000 points on a return business class fare to Europe or the USA, flying round-the-world with 5 stopovers for a similar price represents great value. Here’s what you need to know about booking the oneworld award. you must finish booking all flights in the itinerary before the first flight takes off. You can fly anywhere and in any direction you want, so long as you comply with the above rules. 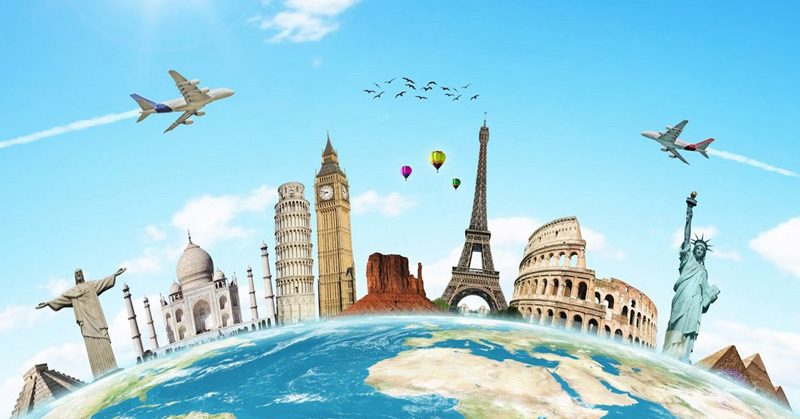 There are no restrictions on how many continents you can visit or whether you can backtrack, which are limitations in most paid round-the-world fares. Here’s an example of a simple round-the-world itinerary, which is a trip some of my family members enjoyed recently. It includes stops in Tokyo, London, New York, San Francisco and Las Vegas. You can actually use the 35,000 mile allowance to go a lot further. For example, here’s a valid itinerary encompassing all the continents (bar Antarctica!). If you make some land segments on your own, you can actually visit more than five destinations. That’s because when you land in one city and take off on your next flight from another city, it doesn’t count as two stopovers – just one (though you do have to count the land segment as one of your 16 permitted segments). Here’s an example where you fly to Tokyo (first stop), make your own way to Hong Kong, fly to Helsinki (second stop), make your own way to Paris, fly to Marrakesh (third stop), make your own way to Casablanca, fly to New York City (fourth stop), make your own way to Montreal, fly to Lima (fifth stop) make your own way to Santiago, and fly home. One factor to note is that there’s no requirement to fly round-the-world at all, though that’s how most people use this award. You can do a loop around a specific region or criss-cross between continents – it’s totally up to you. 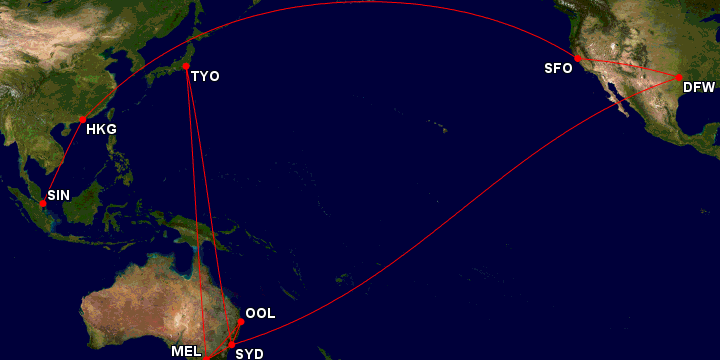 For example, here’s one of my recent itineraries, which started in Singapore and took me to the USA, followed by Australia, Japan and back to Australia. I think 280,000 Qantas Points (plus fees and taxes) is great value for trips like these. Now, here’s the catch: it can be very time consuming to book this award because finding business class seats on popular routes is often tricky and the booking process usually requires several phone calls to Qantas. To make the job easier, you should start planning 12 months’ out and add seats to your itinerary as soon as they’re released. It also helps if you are flexible about dates and departure/arrival airports, especially in Australia. use Qantas’ website to search for seats. Make sure to click on “Use points – Classic Flight Rewards only” and then search for each leg of the journey separately, writing down the flight details when you find available seats. once you finish searching, book whatever you can on the Qantas site. If this includes multiple flights, use the multi-city tool to book. it’s very unlikely you’ll be able to book all the flights in one go, since Qantas’ website isn’t capable of handling complicated itineraries, and you’ll probably need to add more flights later. You can’t add flights to an existing itinerary online – you’ll have to call Qantas to do that. 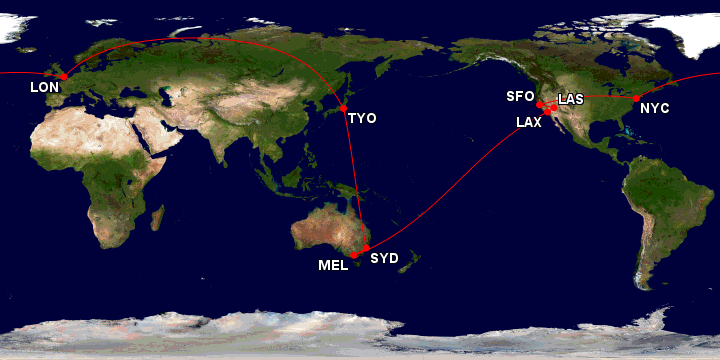 to calculate the total miles flown, use the Great Circle Mapper tool. Just type in the airport codes separated by hyphens (for example, MEL-LAX-JFK-LHR-HKG-MEL). You can search for the codes on the site. as you can see from the above list, the oneworld alliance doesn’t include some Qantas partners, like Emirates, so pay attention to which airlines come up in search results on the Qantas website. You can only use oneworld airlines. if you want to minimise taxes and fees, avoid Qantas and British Airways as they have relatively high surcharges, and avoid flying long-haul out of any airport in the UK. Read more about this here. as business class seats on popular routes can be hard to find, check nearby cities to increase your chances of scoring a seat. Booking the oneworld award is quite complex, but definitely worth the effort given what you get to enjoy: flying in style, visiting a range of destinations and having bragging rights for years! If you find that booking this is award is too time consuming or difficult for you, there are some companies that offer award booking assistance for a fee, like iFLYflat and Award Flight Assist. Kris, will they still charge you the 5K points each time you add a leg? Aren’t they going to slap you with a 5k points penalty every time you add a leg? This could work, but it looks a bit long. Remember you must not exceed 35k miles. Thanks Kris. Just checked using your link and will need to change the final destination MEL to KUL. to keep it under 35000 (with the change it is 34232 miles). Thank you! Great article! I’m wondering, how do you ensure that you are only charged the 280,000 points? As booking individual legs as they become available seems to require far more than 280,000 points? Is there a trick here? Or do you register your itinerary with one world? Hi Katie, as you add flights to the itinerary and the cumulative cost goes up, when you hit 280k the price is capped. However, this requires you to have two non-Qantas oneworld airlines in the itinerary (for it to be a valid oneworld award). If you don’t have those two airlines, the price will exceed 280k until such time as the two airlines are added. In that scenario, Qantas will refund you any excess points you’ve paid above 280k. This is a brilliant article thanks – even though its last year it is still useful. I want to book a 12 month trip RTW starting in January 2020 and asked Qantas about how I would do this given the return legs aren’t open yet and just got the answer – you can’t. But this article tells me how to do it so thank you Kris.